Your answers to these questions will give me ideas for blog articles. It will also help me to help you better with what you’re going through. 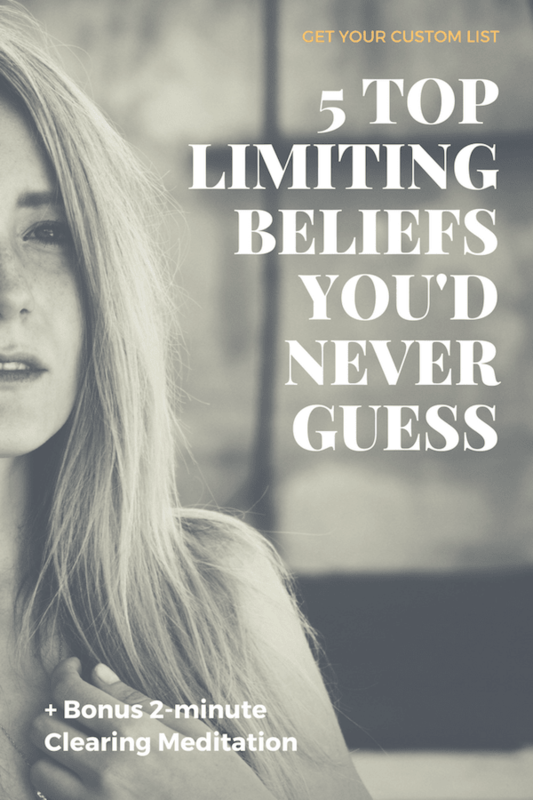 In exchange, you will receive a few limiting beliefs and learn how to find even more of those limiting beliefs on your own. What is your most burning question about this issue? Get your free custom limiting beliefs clearing meditation by entering your first name and email below. Check your email to download your custom limiting beliefs list and clearing meditation. If you can’t find it in your inbox, it may be in your ‘junk’ folder. If you can’t find it in your inbox, it may be in your ‘junk’ folder. Keep an eye on your inbox as you will also receive a second email that shows you how to access other limiting beliefs that keep your stuck.